This two-year program prepares students to work as computer-aided drafters and designers. Students learn to prepare technical drawings used by workers who design, manufacture, build, and install numerous products. They also learn principles and theories of science, engineering, manufacturing, and construction for research and development of products. Industrial grade computer aided design systems are utilized. GCCs Mechanical Engineering Program also has a State-of-the-Art 3-D Printer. 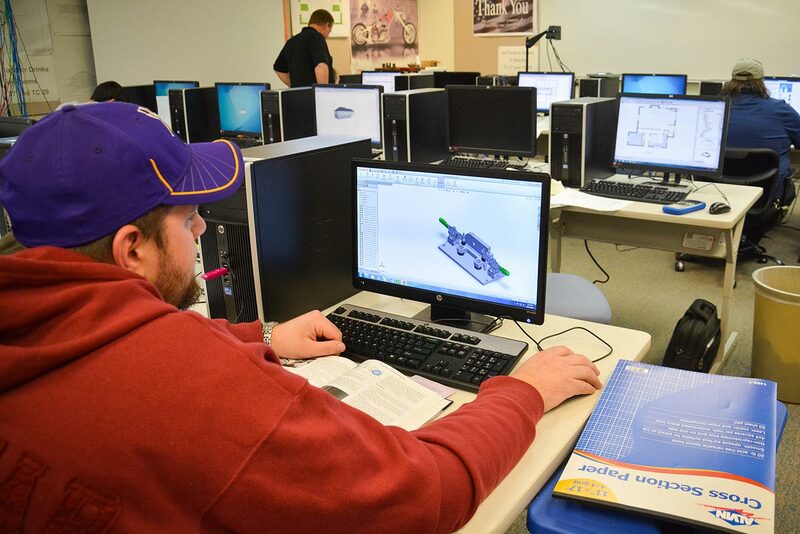 The associate degree can also serve as a prerequisite for students who want to transfer to a four year college in programs such as Product Design and Manufacturing Technology. Employment opportunities as a computer-aided drafter/designer are numerous, and can be found in firms that design construction projects or do other engineering work such as manufacturing, transportation, communications, and utilities industries. Although opportunities exist locally, most positions are in areas where manufacturing industries are more prevalent. According to the U.S. Department of Labor, employment of computer aided drafters/designers is expected to grow about as fast as the average for all occupations. Industrial growth and increasingly complex design problems associated with new products and manufacturing processes will increase the demand for these services. Further, computer aided drafters/designers are increasingly doing more work traditionally performed by engineers and architects, which increases the need. In addition to those created by employment growth, many job openings are expected to arise as employees move to other occupations or leave the labor force.